Congratulations Jen and Seahawk Farms! 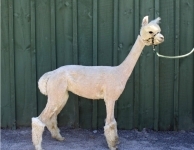 Capri is a stunning white female with the sweetest temperament in the barn. She will quietly make her way to greet you, nose to nose. 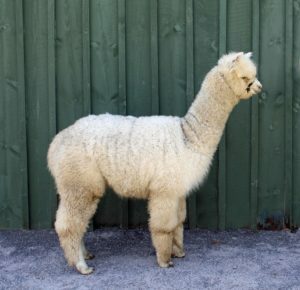 And Capri packs a lot of gorgeous fleece on a solid frame with good conformation. That wonderful fleece has excellent staple length, bold crimp, and a wonderful handle. Her dam is a wonderful mother and we anticipate Capri will be the same. 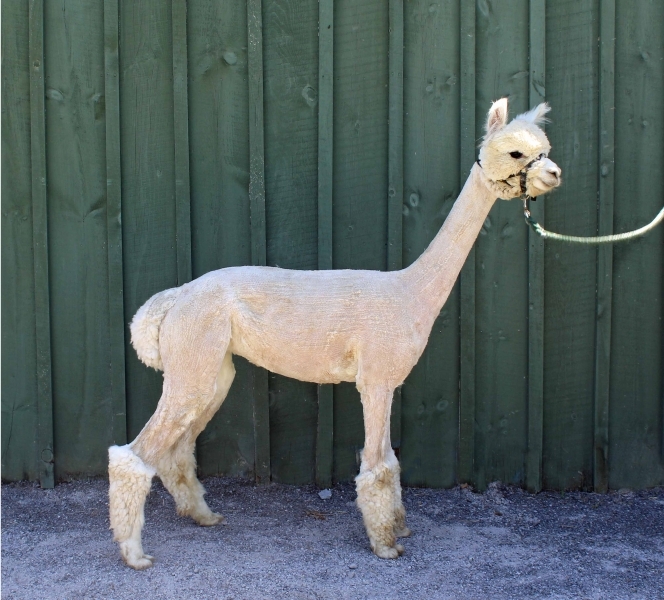 Bred to our finest white male, Twister, with a lusterous, white fibre – we expect a stunning white cria in 2019. This girl has a future as a foundation female in a white breeding program.